Platinum says it has no control over release platforms for its games. Platinum Games fans must feel like a little kid alternately asking each parent for permission to do something at this point. Following a "go ask Konami" regarding Metal Gear Rising: Revengeance for the Wii U, the Japanese developer has given a similar response to fans requesting that Bayonetta 2 and The Wonderful 101 receive non-Nintendo releases. According to Platinum, since Nintendo is the publisher of those two games, fans will just have to redirect their requests and hope against hope that Nintendo obliges. 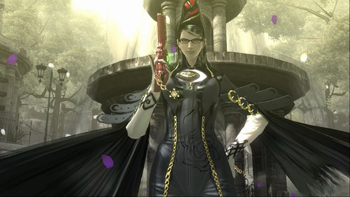 "Nintendo are the ones kind enough to fund and publish our The Wonderful 101 and Bayonetta 2 projects," explains Hideki Kamiya, a director and supervisor at Platinum. He reminds fans that Platinum Games is a developer, and that the decision to publish (or not publish) on any given platform rests in the hands of the publisher. Furthermore, Kamiya reminds fans that they are basically asking for Nintendo to publish its own games on rival platforms, which might not be the best strategy. Still, he urges fans to take matters up with the Big N itself: "Please go ask them, not us." After the fracas with Rayman Legends going multiplatform, fans have learned to never say never when Wii U ports to other consoles are concerned. Still, Nintendo slapping its name on PS3 and 360 games doesn't seem incredibly likely. Perhaps they could outsource it to a third-party publisher, or Bayonetta 2 and The Wonderful 101 might just be on Wii U to stay.